Internet fever is all over and yes among kids too. Kids love toys and it certainly doesn't mean only smartphones. In recent times a lot of new tech innovation has come up and toys are ahead of the time. There are hundreds of connected toys currently available online and some of them are a true masterpiece and still different from each other. These include RC drones, robots that you can converse with, Star Wars drones which you can remotely control and much more. 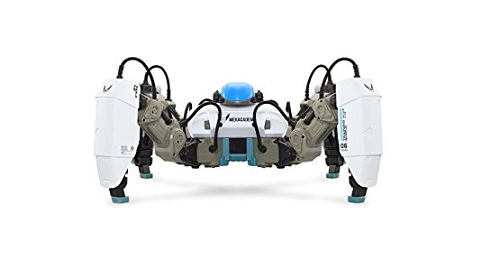 Talking about a specific list, to sum up, we have reviewed some of the top listed smart connected toys which will surely save a lot of your time deciding which one is to pick instantly. 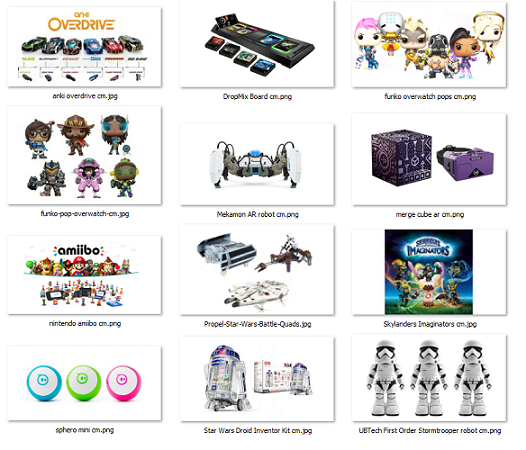 Some of them are purely standalone toys and some need to be connected to a gaming console or pc. Yes, and there are some which you can control through your own programs, wearables etc. to do some awesome things. 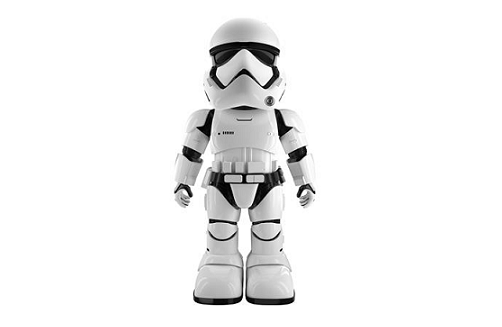 It is an app-enabled Star Wars First Order Stormtrooper Robot which has AR features, voice control commands, facial recognition, and sentry patrolling feature. Meaning the robot will patrol around an assigned area and inform you about any suspectable. A new connected toy from Merge Cube, a company which fully involved in VR and AR. Merge cube is a soft spongy cube that transforms into a fantastic AR accessory works through a compatible app and view the content through a smartphone or Merge VR headset. It is a superb augmented toy, making the experience malleable. 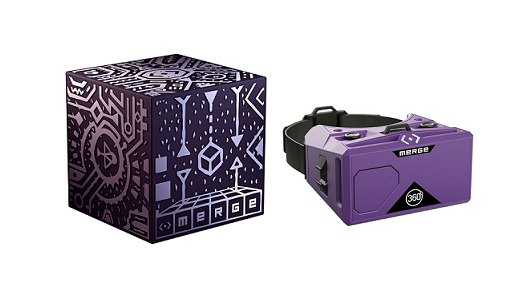 Merge cube enhances the augmented reality experience similar way when Oculus brought its controllers to the Rift. The Sphero Mini robot ball is very easy to control and moves at a satisfyingly fast speed. It packs tons of fun into a tiny, app-enabled robot about the size of a ping pong ball and have various modes with the Sphero Mini App or just by using your face. Packed with teeny tiny tech, Sphero Mini has a little gyroscope, accelerometer and LED lights. Cnet suggests Sphero Mini could be the greatest cheap cat toy of all time. MekaMon is a next Level Robotics Gaming & AR. This connected smart robot bridges real-world robotics with augmented reality gaming for a next level gaming experience and yes it's impressive. You can control it with your phone, and with its AR capabilities, you can literally shoot missiles and lasers. You can highly customize this robot with separately sold snap-on components and help it level up and learn new abilities and virtual items. Although its current price tag is quite more for regular toy range, there is an 'Ultimate Battle Pack' which has two robots deal which looks a real deal. The Droid Inventor Kit lets you build your own version of a lovable Star Wars droid with magnet-connected electronic modules. 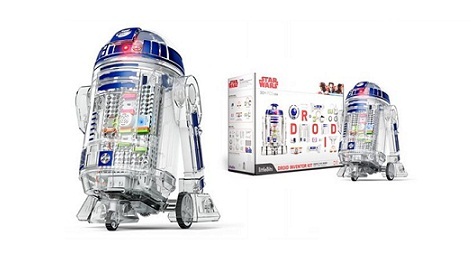 This Droid inventor kit provides all the fun, accessibility and inspiration to little ones mostly above 8 years old. Its one of the best robot toy from LittleBits. The kit contains six bits: the Control Hub, DC Motor, Power Proximity Sensor, Servo and Wire Bits. You can connect them in different ways with its magnetic attachments and create a unique functional robot. LittleBits also has a live community for help and inspiration for kids. Once your droid is complete, you can control it through your Smartphone and compatible App. It works with a Swift Playgrounds app. Made by Harmonix, DropMix is one of the most original games. 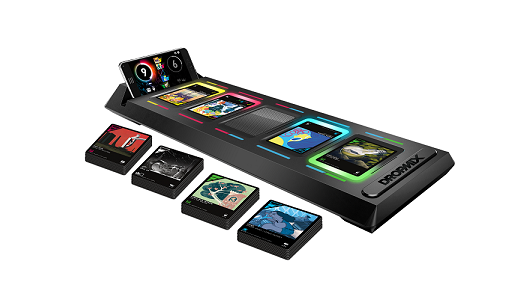 The DropMix is a card based Bluetooth-equipped board consisting of five color-coded spaces and when you drop NFC-enabled cards onto the relevant slot, it creates a variety of music. You just need your smartphone and the accompanying app. As much as 60 NFC enabled cards are available to create a variety of music and yes it's really an addictive fun. There are three models on offer, and with a freestyle section, you can play your own music and with a mix of cards can have awesome new creation. Have fun with your favorite Nintendo characters with amiibo, just tap amiibo accessories to the Nintendo Switch and see them alive. Although, they are not so expensive, collecting the whole set could be a real headache as Nintendo notably failed to produce enough units for prior releases. 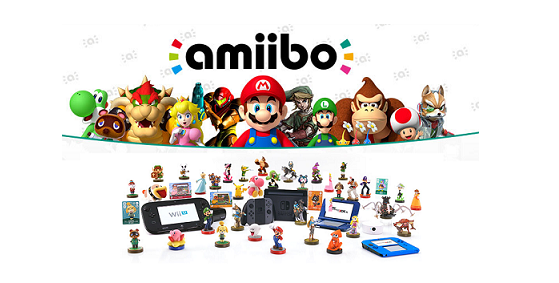 Amiibo is Nintendo's wireless communications and storage protocol, works with compatible NFC enabled toys-to-life figurines, the Nintendo 3DS, Wii U and Nintendo Switch gaming platforms. There are many Amiibo enabled figurines available to buy separately. 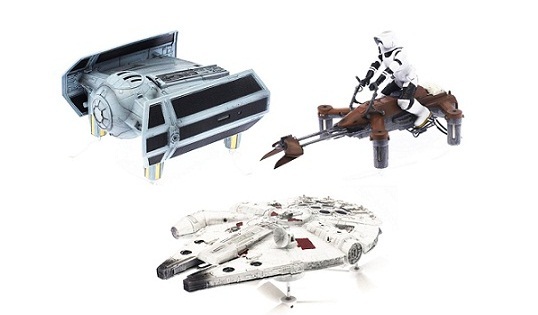 Propel's Star Wars Battle Drones are the perfect gift for your resident Star Wars fan. Some of the best selling Propel Drones include 74-Z Speeder Bike, T-65 X-Wing Starfighter, and TIE Advance X1. You can have up to 24 doses flying and fighting. The infrared receivers on each drone can detect where they're shot and you get three lives and shown on your remote control. And after three shots your drone takes a semi-controlled crash back to the ground. Handling these drones take some practice, but once mastered, it's an amazing experience. 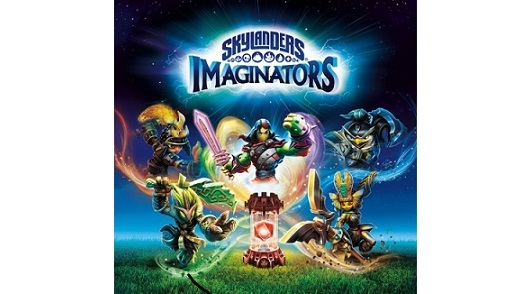 Skylanders: Imaginators is a toys-to-life action 3D platformer video game developed by Toys for Bob. Its a successor to its previous Skylanders: SuperChargers released for PlayStation 4, Wii U, Xbox 360, PlayStation 3, Xbox One and Nintendo Switch. The story revolves around a time where ancients used a mysterious power known as Mind Magic to create everything in Skylands. With this, they could conjure into existence anything they could think of. Some of the fun facts to know about 'Skylanders: Imaginators' on Time magazine. If you are a car drive lover, future-proof Anki Overdrive cars might suite best for you. A starter kit includes two robotic Supercars powered by AI and 10 track pieces that allow the user to create up to eight tacks. The Anki Overdrive starter kit app includes five game modes including Race, Battle, Battle Race, King of the Hill and Time Trial which test your racing and battle skills. Anki overdrive gives one of the most intelligent battle racing systems. It is so advanced that it feels like the future. Each supercar is a self-aware robot vehicle again driven by powerful artificial intelligence. Built by your own deadly strategy track, they will learn it. Whatever you drive, these cars will hunt you down. The game also facilitates virtual weaponry for disabling your opponents and earning cash to vehicle upgrade. 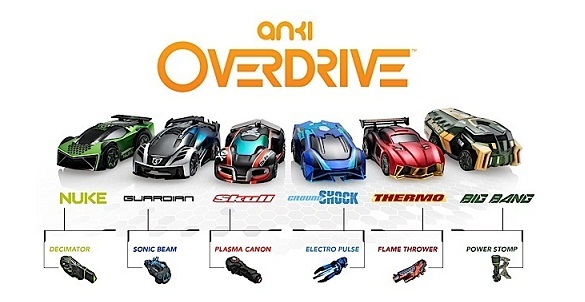 Anki's latest Overdrive version is very well upgraded from its 2015 model.